I have been trying to post on here more times than I can count this last month. It hasn't worked. I either start and someone calls, Nora needs me, the camera with pictures is downstairs, I'm too hungry and just need food, Cale needs me, nap time ends, and there's a list of a trillion more reasons. Haha. Nora is napping, Cale is at the gym, Mama is running an errand...it's just me and this computer. I think this is going to be another photo dump just because there are so many different ways this post could go and with the slight possibility of getting caught up, pictures always seem to do the trick! I'll start with the exciting event of celebrating Nora turning 2!!! I really felt like her turning two was way harder for me to process than her turning one. Was that true for you? Somehow at one, it was crazy and I couldn't believe a whole year had passed. I know that I teared up and just couldn't believe it, but she was still my baby. Yes, she was walking and eating and more playful. She still seemed more baby like to me though. Now, now she's two. They call her a toddler and she has her own agenda. She picks the things she likes and plays pretend with her toys. The toy cow has conversations with the toy pig. How does that happen?? She sings songs and gives us check ups. She dances and kisses our owies. She's different. She's a little girl now. ...and I love her so much. The next day as I vacuumed up chip pieces, cupcake crumbs, and taco fixings, I reflected on the party and pictured all the faces that joined us. I am so thankful. 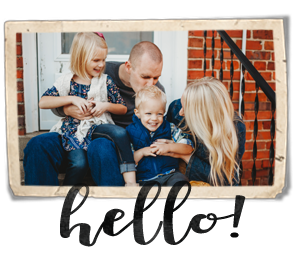 Moving has been exactly what our family needed and there is no doubt at all whether it was the best decision for Cale, but it hasn't always been the easiest for me. My heart has struggled. Not that I don't love it here-I do but I'm not always the best with change...and moving was a very big change. Especially with finding out a baby was going to join us. As soon as I saw that I was pregnant, I immediately felt like I wanted to move back to WA, live in the same house and have everything go back to the way it was-easier, and then I could have this baby. Well, God has other plans for us. And, as hard as some days are, I know they are the best plans for us. While thinking about Nora's party, I was reminded of how the Lord cares for us. We moved to a place full of people that already loves our family, my husband, my daughter and I know they're going to love this baby growing inside me as well! My heart is full. We're truly thankful for the friends and family we have here in this place we call home. I ran my last 13.1 for awhile! I was 14 weeks pregnant and felt great! Embarrassing story to this race though...I had signed up for the Rock n' Roll half in Raleigh back in January. Actually, I purchased it on Groupon the night before my last half. I was apparently excited to race the next morning...ha! Anyways, I started training and then Mama left so almost all of my runs were on the treadmill (which I hate with a passion!) including my 10 mile long run. I also trained after I started to feel sick from the pregnancy. I felt like I really fought for all my runs and was also feeling really good about racing. Although, the week leading up to the race, I felt like my body was changing quite a bit but I knew it would be fine. Weeeeeeell, the night before the race, I was going through my list of everything I needed to lay out for the next morning. I was going to have to get up eaaaarly so after Nora was in bed, I would get everything set up and hopefully get to bed at a good time. I then realized, I don't have my bib! I quickly grabbed my phone and started to frantically tell Mama that I didn't have my bib and I hadn't received any emails. I knew I should at least have emails! Turns out, I forgot to register. I had purchased it on Groupon but with life being so crazy, I had completely forgotten to finish the process. Unfortunately I realized this too late in the day and the expo had closed already. I know it sounds silly to cry over missing a race but I had trained even with circumstances against me. I couldn't go through all of that and not race! Mama brought up the idea of looking for another race that would be soon. I knew it had to be soon because I didn't know how much longer I'd be able to run that far. We found a race for that coming following weekend, I registered and we took a little family trip for me to race. It was special to have Cale, Mama and Nora at the start and finish as well. Nora had her 2 year check up. She did so good. Like, even better than I could have imagined. She kept asking the doctor, "Can you hear my heartbeat?" We had been having a lot more harder days with harder moments than sweet moments. I was so so so proud of her for how she did in the appointment that we went for a little date after. It was a day full of sweetness! This last Saturday we walked the Walk & Roll-athon with the Brain Injury Association of North Carolina. We also had a BBQ that evening and Nora didn't get a nap all day...but we all survived! My time of being home alone with out distraction has come to a quick end so I'll wrap this up! Oh, Dear Heart, I loved it. I'm so sorry about you missing that one race, yet, Father had a different one planned. I, too, am proud of Nora doing so well at her appointment. She's going to be the best big sister. Talking to her about it now, she's going to be such a big help and be able to teach baby so many things is a fun thing to do, too. All the photos are wonderful. I love it...I love you, and am grateful to be a part of your journey.